Gensburg Toniolo & Harting Architects is an full-service architctural firm serving Chicago's North Shore, communities throughout the Chicagoland area, Wisconsin, Indiana, and Michigan. We provide services for residential new construction, renovations, additions, restorations, and interior design services. Our architectural philosophy is simple. We are the tailors for you, your home and lifestyle. Together we select the architectural fabric that creates the home and tailor it to be stylistically appropriate and a perfect fit for your family's needs. We listen carefully to your thoughts and requests, and weave them together for a custom-fitted and truly original design. Our pride comes from creating your custom home, renovation, restoration, addition, and interiors that are timeless and leave no personal statement or mark from our firm. Creating floor plans using key furniture placements ensures that spaces fit your needs and the sight lines of the house correctly. The project should always be a reflection of you in an architecturally correct and appropriate manner, and never leave any label as to who created it. Our most prized compliment is when our final work appears to be a natural progression of your existing home or new home that is, at its essence, timeless. OCGG Architects is an Architecture and Interior Design Firm established in 2001 by Gregory Geslicki and Okhee Choi Please feel free to reach out to us, we would love to hear from you! Studio Talo is dedicated to helping owners achieve their unique goals by crafting inspiring spaces that creatively balance desires with resources. We believe that good design means creating enduring relationships among materials, spaces, resources, people and the planet. We help clients define their needs and priorities and provide vision and leadership throughout design and construction. We employ the most advanced software tools, and the occasional cocktail napkin, to collaborate effectively with clients, consultants and contractors at a range of scales. We listen in order to understand our clients’ values as well as their requirements. This allows us to imagine elegant solutions that exceed their expectations. Our firm's small size (we are four) allow us to provide extremely personalized attention that leverages everyone's unique strengths. Firm owner Thomas Ahleman trained at Washington University, Harvard and the Helsinki University of Technology where he studied on a Fulbright Grant. Thomas has taught architecture, construction and sustainability at the School of the Art Institute of Chicago and has lectured at MIT, Harvard and IIT. How do I find the best Lake Forest architect for my home design project? It is best to hire a home architect who will be involved in all phases of the design process, from the initial concept to the completed construction. The architect is often the first person you will hire for your project. If necessary, they might also help you select and hire Illinois subcontractors, which can include the builders, engineers and landscaper. Interior architects are also involved in negotiating contracts for all involved participants. It is for these reasons that it is extremely important for you to have a good relationship with the Lake Forest residential architect you hire. He or she can be the tie-breaking vote between you and the general contractor and can be your biggest advocate during the construction process. 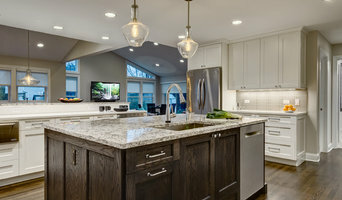 Different architecture firms in Lake Forest, IL provide different services, so the scope of the work can span from pre-design environmental impact studies to selecting furniture and finishes, depending on what your specific needs are. It is very important to hire the right professional for the job. Remember that the most well-known or established designer might not provide the best architectural services for your needs. It all comes down to the individual project. Research and ask people whose work you like for recommendations. It's important to have somewhat of an idea of the style of house architecture that you prefer, as well as the amount you would like to spend. Residential architects in Lake Forest, IL are natural problem solvers. They will assess the entire situation and help you to solve your problems too. Don't settle for a single company too early. Call and interview a few. Make sure that you feel like your personalities will mesh well and that you like their professional perspective. 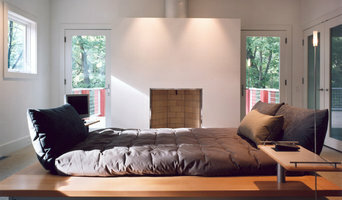 Find a home architect in Lake Forest, IL on Houzz. 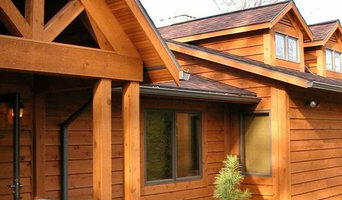 Narrow your search in the Professionals section of the website to Lake Forest architects. You may also look through photos of Illinois projects to find interior architects and building designers who have worked on a project similar to yours.